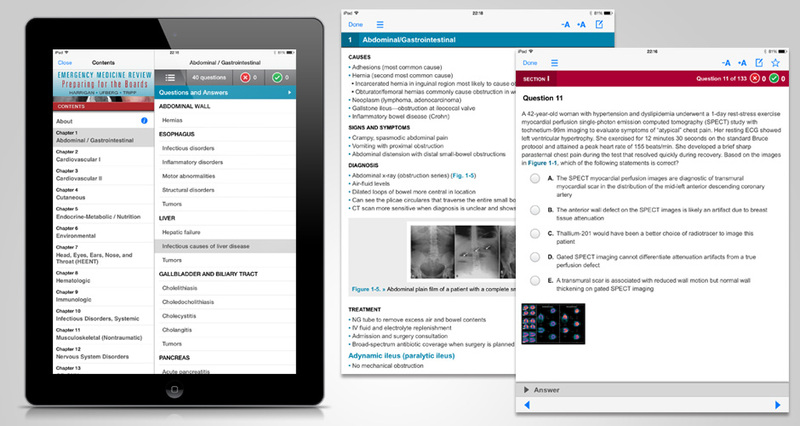 Elsevier’s Medical Board Reviews app was designed to help medical students and clinicians master certification and recertification in Cardiology, Emergency Medicine, Sleep Medicine and Surgery. Each section contains between 700 and 1000 questions to help the user study for each examination and handy features such as answer tracking, note taking, highlighting and bookmarking make this an invaluable study tool. In-app purchase allows the user to review a set of questions before purchasing the full content.